Nicholas is from the Riki-Igor litter and a littermate to Aeron. He was specialed for only a brief period but was into Top 10 both Breed & All-Breed. He has completed all of his health checks & has his CHIC number with all tests passed. He is N/HU on the HU gene & JLPP clear by parentage. 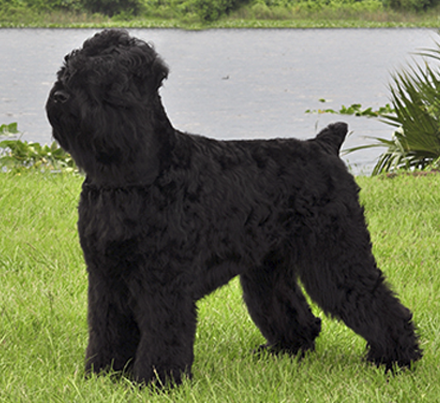 Nicholas is owned by professional handler Mel Holloman & bred and co-owned by Edea Caldwell.